Cosmica is multipurpose responsive WordPress Theme for any business purpose. 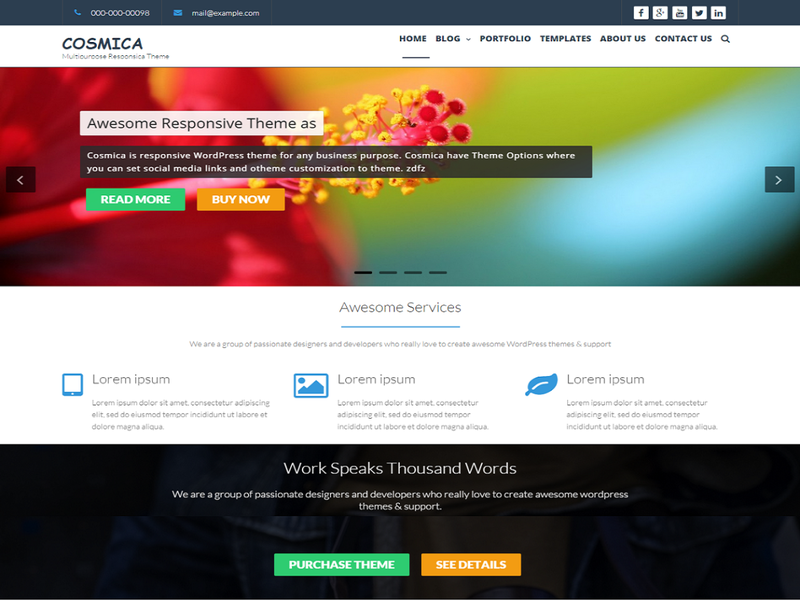 Cosmica have Theme Options where you can set social media links and otheme customization to theme. This theme gives you awesome looking website just put you contents and its ready to go. Theme using Font Awesome icons.